ORNAMENT - SARAH COVENTRY. 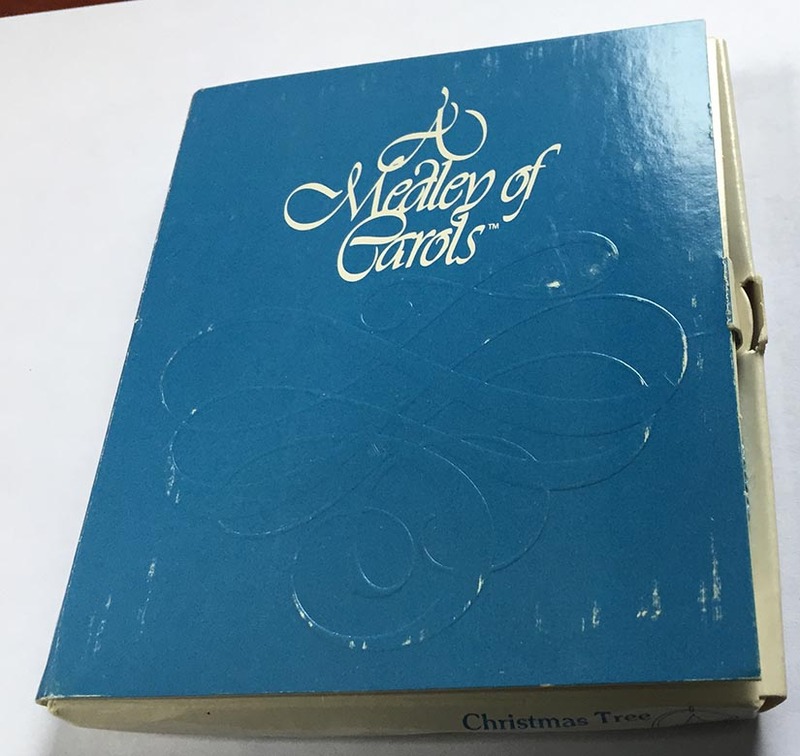 "A MEDLEY OF CAROLS: CHRISTMAS TREE" FROM 1977. LARGE 3 1/2" DIAMETER ETCHED ACRYLIC ORNAMENT WITH "SARAH COVENTRY 1977" ACROSS THE BOTTOM. IN A BLUE FELT POUCH IN A BOX WITH A STORY INSIDE. 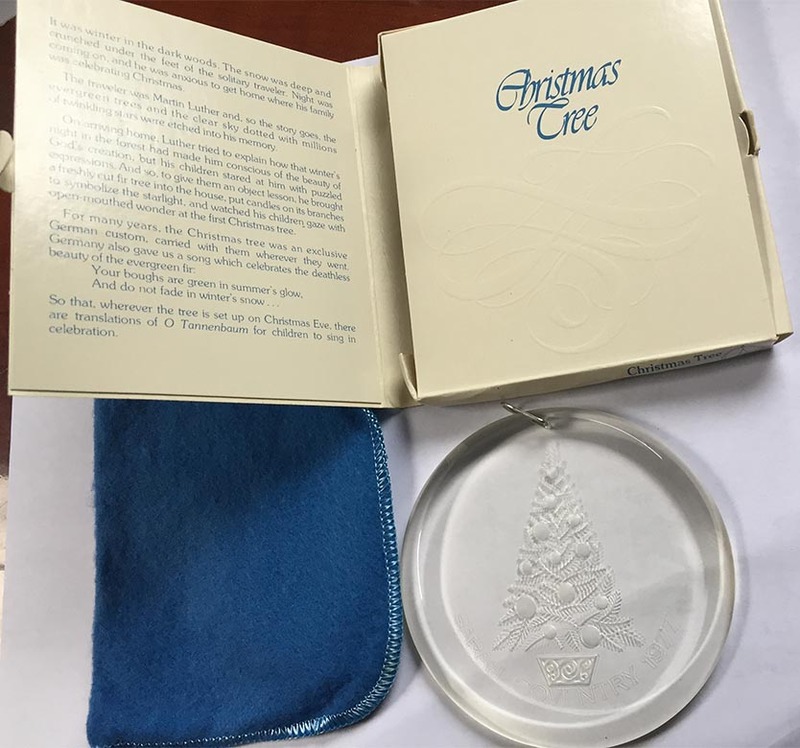 ORNAMENT AND POUCH ARE IN EXCELLENT CONDITION - BOX SHOWS WEAR FROM STORAGE.